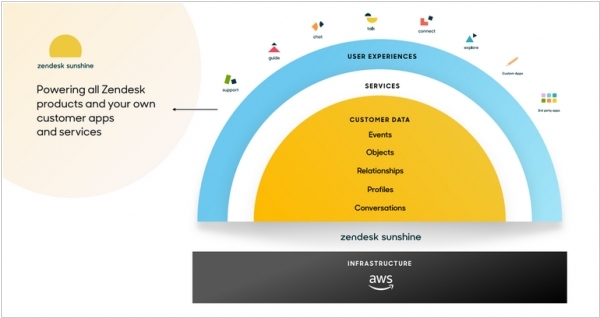 Zendesk announced Zendesk Sunshine, a new platform for creating customer-focused applications on top of Zendesk’s toolset. Companies can build apps on top of Sunshine, typically customer experience or customer relationship apps, and they will be hosted natively on AWS and have access to all the AWS services. And all of the applications rely on the Sunshine platform for information sharing. This approach is aimed at helping Zendesk customers build applications to take advantage of the data they are collecting inside of Zendesk as a natural byproduct of doing work with the service, but over time independent developers could begin working on the platform too. 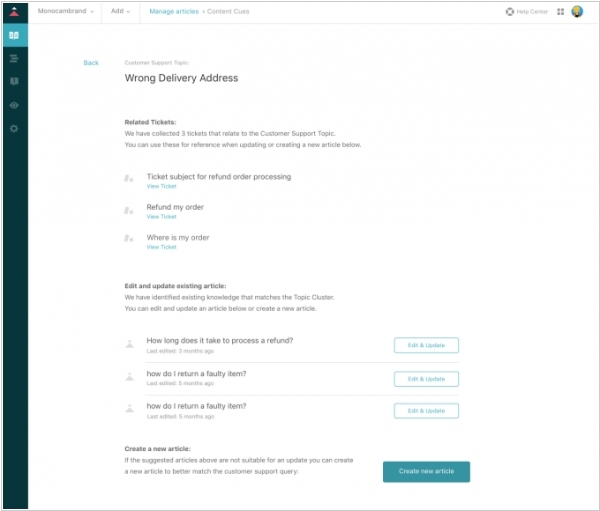 Zendesk announced a new enterprise content management product specifically geared for large customer service organizations. It’s called Guide Enterprise and it’s designed to provide those larger customer service organizations with a knowledge base and a content management platform for editorial planning and review. The idea is to empower customer service reps to write up solutions to problems they encounter and build up that knowledge base as part of the natural act of doing their jobs. The reps can find their fellow employees’ notes and not have to reinvent the wheel every time, and the notes and articles they write can pass through editorial review and become part of the permanent knowledge base. When customers hit the site or app, they can access solutions to common problems before having to talk to a human. The platform also includes reminders to check the content regularly so the knowledge base stays fresh and stale content is removed. 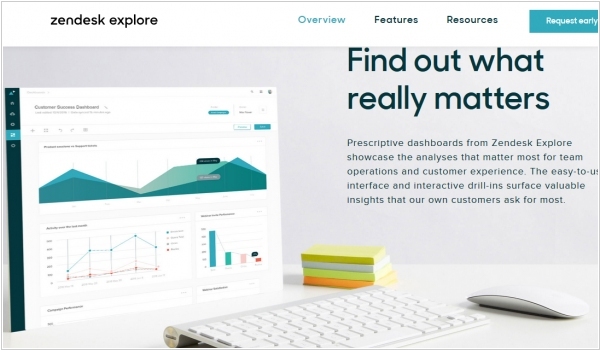 Customer service app Zendesk unveiled a new product Zendesk Explore that provides analytics to measure and understand the entire customer experience. With Zendesk Explore, you get instant access to the customer analytics that matter—and the deeper understanding of your customers and business that comes with it. It's taking data from Zendesk’s myriad tools or third-party systems like customer data in Salesforce, buying history in Shopify or web analytics from Google Analytics and pulling it all together into one central place. It can deliver this information, regardless of role to get a much fuller view of the customer than you can get with bits of information trapped inside application silos. 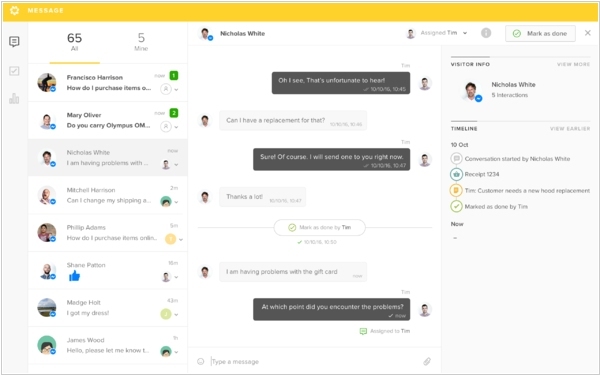 Zendesk, the leading customer support software, adds the new feature - Message - the messaging product that helps businesses engage customers on their favorite messaging platforms. The first of these messaging platforms is Facebook Messenger. Zendesk Message is easy to use and designed specifically for messaging. Since messaging interactions tend to occur in short bursts, we made it easy for agents to move quickly from one conversation to the next, while keeping it easy to assign, own, and resolve conversations. Agents will be able to easily reference important events in a long conversation stream with features like timeline. 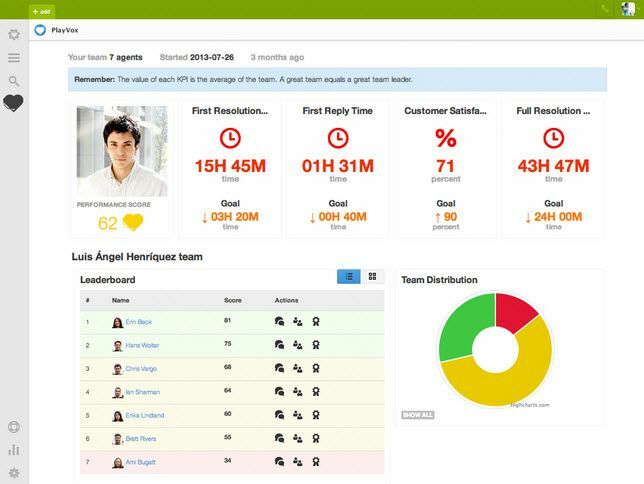 Customer support giant Zendesk has acquired BIME Analytics for $45 million. BIME Analytics is a business intelligence startup with a software-as-a-service approach. It turns data from many different sources into trends and insights. The startup provides dozens of data connectors in order to aggregate data from multiple sources — Bigquery, CSV, Excel, Intercom, Google Analytics, Salesforce and more. You can name a data point for business intelligence purposes, and chances are BIME already supports it. Then you can create interactive dashboards, advanced visualizations or exploit the results using SQL queries. Everything is fast and distributed, you won’t have to manage servers to do these data manipulations.